New academic advisor joins Geosciences. Brady Dennis is the new undergraduate Academic Advisor II in Meteorology, and he will also assist in advising undergraduate students in Geology and Geophysics. Dennis has a bachelor and master’s degree from Texas A&M, and he is working on his dissertation in educational administration. Before coming to the College of Geosciences, Dennis was assistant director of external relations in the Division of Marketing & Communications. He has also been an advisor in biomedical sciences in the College of Veterinary Medicine. In addition to advising, Dennis has experience in student recruitment, event planning, campus-visits coordination and web development. 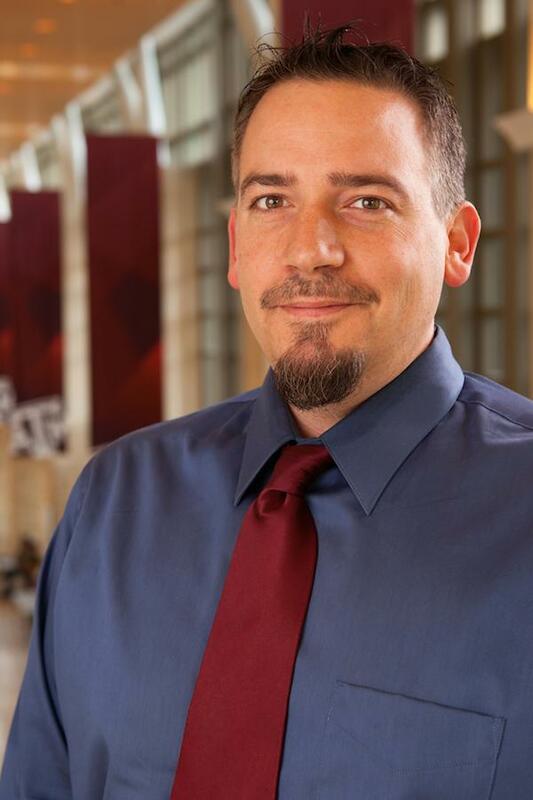 His achievements include a Bronze Quill award from Brazos Valley IABC, 2014; Texas A&M Leadership Institute, 2010; Texas A&M Partners in Learning Award from the Diversity Awards, 2009; and the President’s Award for Academic Advising, 2008. Dennis will split his time between O&M 105 and Halbouty.